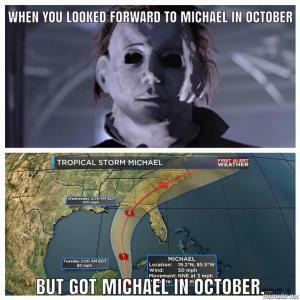 But got Michael in October. 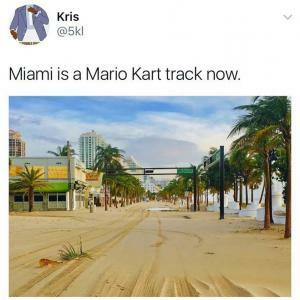 Miami is a Mario Kart track now. 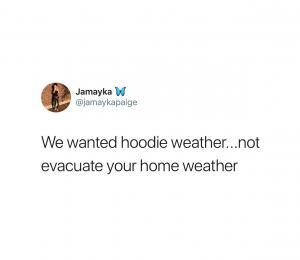 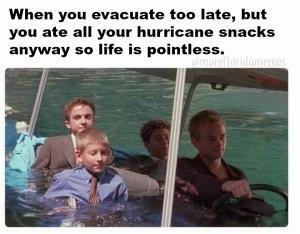 When you evacuate too late, but you ate all your hurricane snacks anyway so life is pointless. 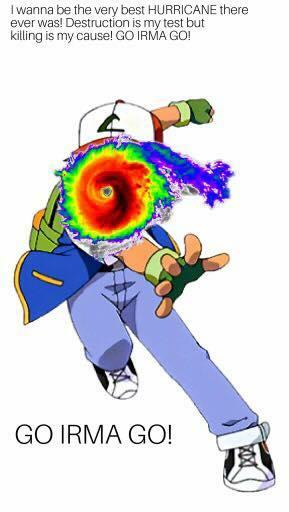 I wanna be the very best Hurricane there ever was! 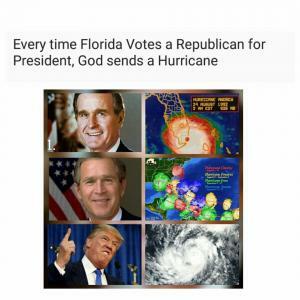 Destruction is my test but killing is my cause! 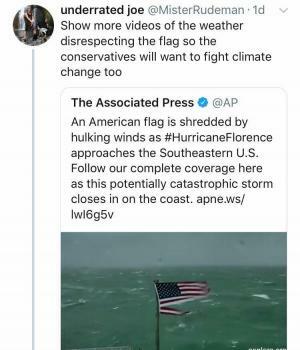 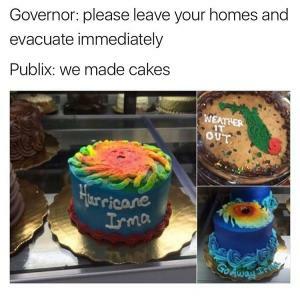 Go Irma go! 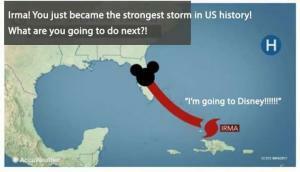 Irma! 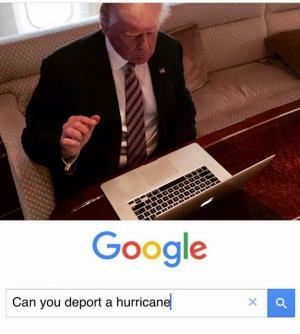 You just became the strongest storm in US history! 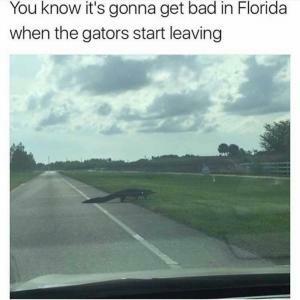 What are you going to do next?! 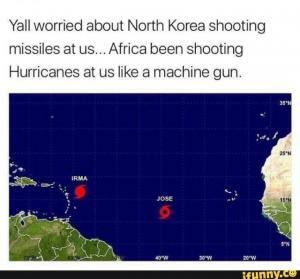 Yall worried about North Korea shooting missiles at us... Africa been shooting Hurricanes at us like a machine gun.